Europe Data Center Cooling Market is predicted to grow at over 12% CAGR during 2018 to 2024, from around a value of $3bn in 2017. 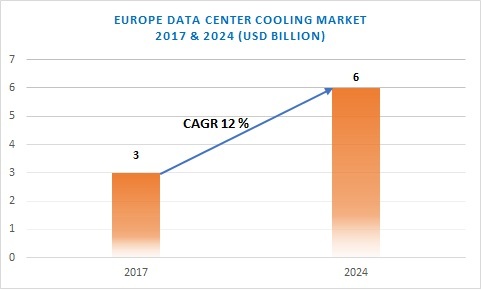 The Europe data center cooling market is driven by the rapidly developing IT infrastructure and the increasing number of the data center facilities. The region is witnessing a high adoption of hyperscale facilities for the storage of industrial data. The growing presence of multinational companies and the increasing customer data are the major factors responsible for the increasing adoption of mega-facilities. These large facilities require effective cooling components to manage the heat generated by the systems to avoid system damage, thereby providing an impetus to the Europe data center cooling market. The installation & deployment services are experiencing a high demand in the Europe data center cooling market with the increasing requirements for effective cooling solutions in large-scale enterprises. These companies are investing a large amount of money on managing their infrastructure facilities, which also include installation services. In the Europe data center cooling market, players are offering such innovative services to deploy these systems effectively in their client’s facility. For instance, Schneider Electric SE offers several installation services including assembly and start-up services with the help of certified service professionals. Rack-based technique is being widely adopted in the Europe data center cooling market owing to the increased efficiency of the systems in capturing the heat generated by the equipment and neutralizing it before it reaches the room environment. These systems are the suitable technologies for high-density applications, where a minimum cooling capacity of around 6-7kW is required. High density in-row cooling units allows operators to increase their server capacity by reducing the total footprint of infrastructure facilities. The colocation service providers are implementing these components to maintain their client’s IT facilities and improve the performance of the devices. The industries are depending on the colocation providers for the effective management of their business data in a secured and safe IT environment. These customer demands are encouraging service providers to deploy advanced and innovative solutions that will protect IT devices from getting damaged. Such factors are predicted to drive the Europe data center cooling market growth. Major players in the Europe data center cooling market include CoolIT Systems Inc., Rittal GmbH & Co. KG, Daikin Industries, Black Box Corporation, Data Aire, Inc., Schneider Electric SE, Nortek Air Solutions, LLC, Delta Group, AdaptivCOOL and Airedale International Air Conditioning, among others. Companies are focused on research & development activities to develop innovative products to cater to varied customer requirements. 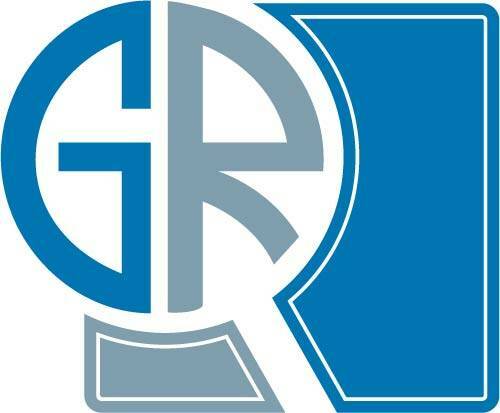 Moreover, they are also involved in offering a wide range of services to enhance their client’s experience.